Welcoming National Online Shopping Day (or commonly called “Harbolnas”) in Indonesia and Singles Day in the world is an event awaited by many people and e-commerce players. A month before Harbolnas, precisely on November 11 (“11.11”), several e-commerce and marketplaces are competing to provide the best offers in the form of free shipping promos, cashback and massive discounts for their customers. For this 11.11 shopping event, e-commerce creatively develops their marketing features and campaign such as holding quizzes and interactive games. The growth of e-commerce and marketplace every year makes this event as one of their strategies for companies to attract their markets. According to a report from McKinsey, Indonesia’s e-commerce market in 2022 will grow to 55-65 billion US dollars. 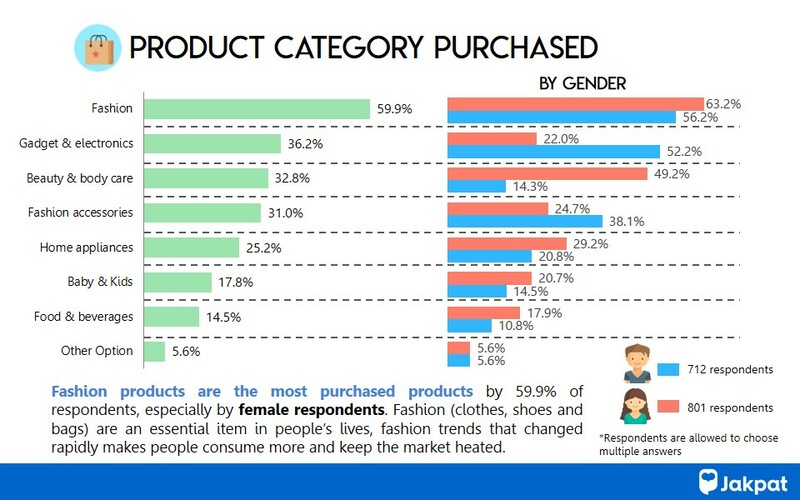 This makes Indonesia a big market share for e-commerce and marketplace participants. 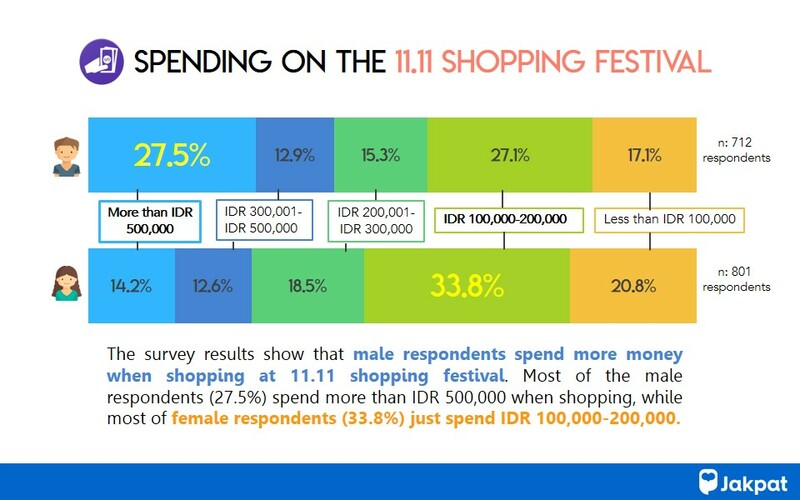 To help marketers understand the opportunities this shopping phenomenon, JAKPAT has conducted a survey in order to see how Indonesian’s response and their shopping habits in this 11.11 promo event. 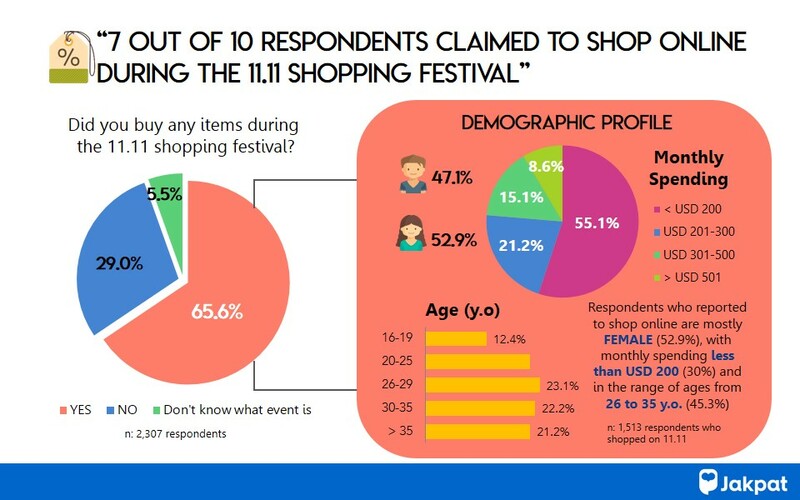 This survey was conducted for 2,307 respondents from JAKPAT, with a total of 65.6% admitted to having shopped online at this 11.11 event. This entry was posted in Download Reports, E-commerce, Lifestyle, Marketing, Mobile on November 16, 2018 by Dea Komala.